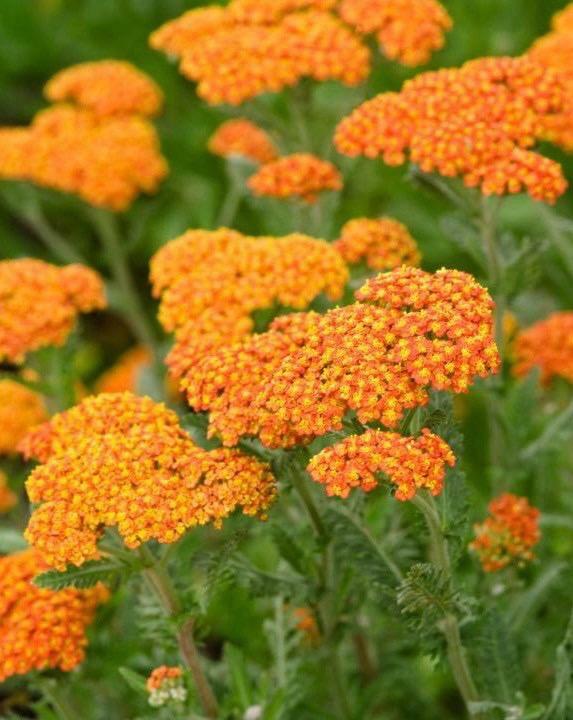 Achilleas are excellent for bright splashes of colour through the summer. This one is great for the hot spots in the garden. Fine filigree grey foliage. Good sized plates of bright orange, June to September. Sun and good drainage. 60cm tall. Does not flop in wet weather. Loved by butterflies and bees.